What is an astrological chart ? The birth chart is based upon a chart wheel that is a circular representation of the solar system (vision from the Earth). More precisely, the birth chart is located around the Earth observation spot in a two-dimensional representation. On this graph, the graduated circle is the tropical zodiac where planet longitutes are listed, from their positions relative to the yearly Sun course. In occidental astrology, the Zodiac isn't delimited by constellations of stars (sideral zodiac) but by the geometric division of the circle described by the motion of the Sun around the Earth. Sidereal zodiac is rarely used by astrologers. The zodiac (tropical) starts at the vernal (or gamma) point which is the very day of Spring (March 21st). This point has no connection with the observation place and remains the same whether we are in the north or south hemisphere. The domification is the second cut out of the circle that is based upon the Earth rotation (everyday spins around itself once). The domification depends on the time and place of observation and give details about what we call the ascendant and astrological houses. The Houses are as many as the signs (12) and are represented just like planets, in superimposition on the zodiac circle. What's the difference between an astronomical sky chart and an astrological sky chart ? There's actually not a big difference. We use the same planetary calculations, the only difference is the type of representation. Instead of using positions from 0 to 360°, astrologers will divide the circle into 12 signs of 30° and will show the degrees at the beginning of each sign (for example: "15° Taurus and not "45°"). In astrology, it's important to represent the houses in order to see the planets inside of them, and to clearly spot the angles between the different aspects of the chart. 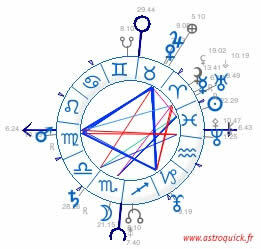 Indeed, those angles or astrological aspects are very important for the astrological interpretation. They give details about the symbols and are also the basics of astrological previsions. Can a person have two different charts? ? As far as the ascendant and calculations; no. There is only one chart and the very few differences we could find between two sky charts will only be about the precision of planetary calculations and the determinations of intermediary houses. No matter how you calculate, the position of the ascendant always have to be the same. If it's not, then there's a mistake somewhere. The ascendant is the fastest spot (one degree every 4 minutes), it's the best way to figure out if there's a problem or not. Astrological calculations are relatively complex and consequently mistakes can be made pretty frequently. 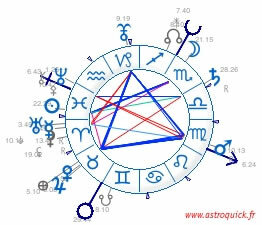 To be sure about a sky chart, it's best to work on the chart on different websites or professional astrological softwares. When it comes to identical data, no difference can be noticed about the position of the ascendant. There are several examples of birth charts and the only way astrologers can explain their differences is thanks to their sensibility and habit. The Anglo-Saxon pattern found its inspiration in the oldest sky charts with planets inside the circle and a view showing how important houses are. The other pattern, most recent, is the French one with planets outside the circle. Its representation brings out the signs and respects the geometry of the sky, just as we can see it if we observe it. It makes the reading of the aspects easier. This distinction is general because there are now several sky chart patterns that mix the ways of representations. Either the ascendant and houses are fixed, then signs spin around (Anglo-Saxon pattern). Or signs are fixed, and in that case houses spin around. The first representation is the one that is used the most in previsional astrology and the second is more used when it comes to psychological astrology (astro-psychology). I want to see what my birth chart looks like ! I want to know everything about my birth chart ! 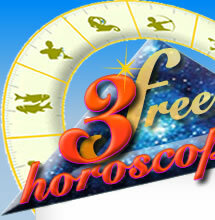 Discover the basics of astrology with the chart wheel and your free birth chart. You can increase your knowledge about your birth chart with a detailed and complete astrological report. To find out about your current planetary cycles, the personalized forecasts will give you all the details about your astrolgy forecast with the domains that are activated during the planetary transits and solar return. To discover the multiple aspects of your relationship, the synastry report will give you a detailed list of interactions between birth charts and bring out the strengths and weaknesses of the relationship. Remember that a consultation with an experienced astrologer will give you an astrological synthesis that no computer can do !